Droopy eyelids and shoulders, a frown on your face, throbbing head and yawning now and then is your body’s way of screaming for some rest. With so much to do, finding time to relax can be difficult resulting in poor health and work. But making time to take a break is extremely important for your health. We all have times like exams, work, meetings and deadlines that can affect our health drastically if we don’t take a little time off and continue with our hectic lives. Relaxing doesn’t have to take hours or whole of your day, there are ways to relax that don’t take much of your time and at the same time give you much-needed rest. Try the below-mentioned tricks to chill out a little and beat the stress. 1. Take a power nap. Naps are the perfect way to boost your energy and shove all the frustrating thoughts to the corner. No, napping during the day isn’t a sign of laziness; it actually has many health benefits. Short naps can reverse the negative health effects of a poor nights sleep and reduce stress. It also boosts your immune system and helps retain information better than those who don’t take naps. Quick naps allow you to escape from daily stress and rejuvenate and refresh you to face the day ahead. Not all of the employers are as kind as Google who allows their employees to take a short nap in egg-shaped energy pods, specially built for the purpose. But mostly everywhere, napping during the work time is frowned upon. Instead of taking a coffee break, curling upon your couch after a long day at work for half an hour or so can reboot your mind. 2. Have a heart to heart talk with your partner or your best friend. Sometimes, after a bad day, nothing can be better than speaking your heart out to your partner or your best friend. They don’t judge you or give you bits of advice, they simply listen to you when you need them to. You don’t need a certain number of people, you only need a number of people that you can be certain of that you can share your thoughts with. If you need to relax, take a time out and call your best friend or your loved one and talk your heart out to them. Talking will help you to vent your emotions and feelings and get everything out in the open rather than bottling it up. 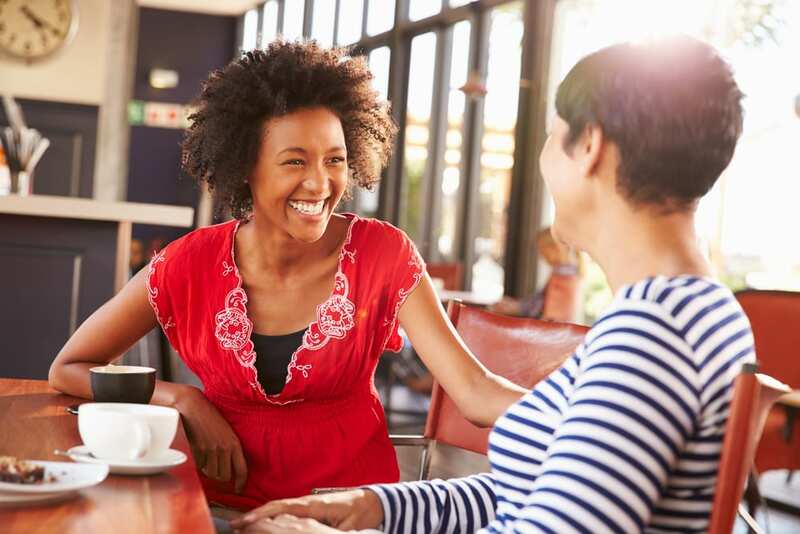 Confiding in someone about how you feel is the ultimate de-stressor. When you share your emotions, you feel the burden lifting off you. Sit with those who are close to you and grab some tea and talk. Apart from burning and reducing the risk of heart diseases, walks can reduce stress significantly. A small stroll in the park or walking to the departmental store instead of taking your car has many stress-busting benefits. 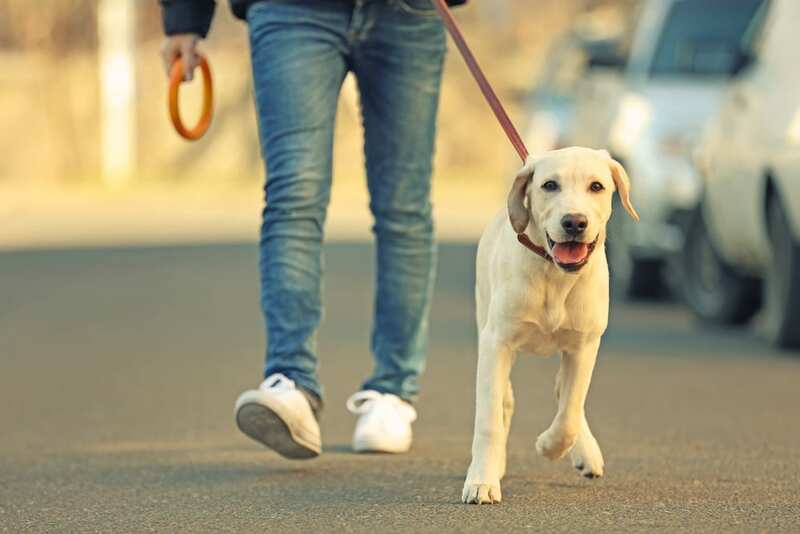 Taking time to pursue activity like walking can get your mind off distressing concerns, and gives you a feeling of detachment from your daily pressures. By giving your mind the room to wander, you will be able to focus better and look at things in a new light. 4. Indulge in Dark chocolate. Someone has truly said, chocolate doesn’t ask silly questions, chocolate understands. If you are looking for the justification for having chocolate, there are plenty of reasons for you. Science confirms that eating dark chocolate relieves you from stress and lowers your blood pressure. A delicious piece of dark chocolate is nourishing and is a wholesome food for the body. 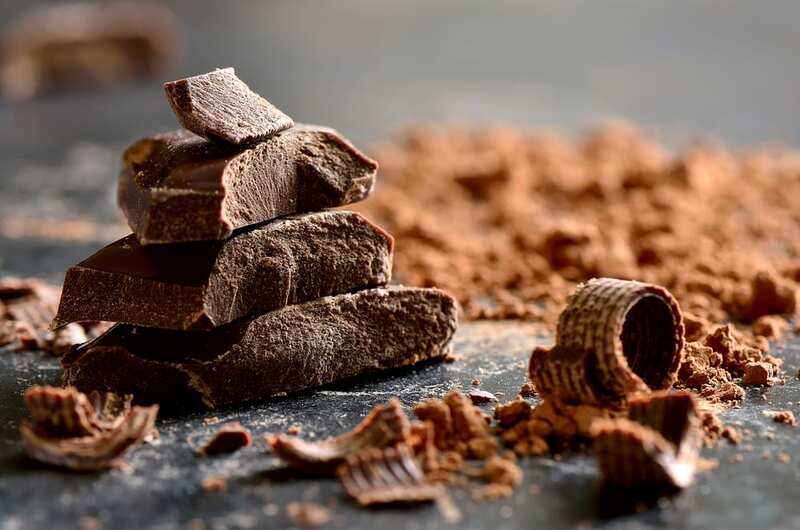 Dark chocolate is enriched with many healthy compounds known as flavonoids that are good for treating ailments and offer many health benefits. It works by stimulating the production of endorphins that gives rise to happy feeling. Hence, the darker the chocolate the better. Meditation is the ultimate way to wipe away the day’s stress and soother your mind. 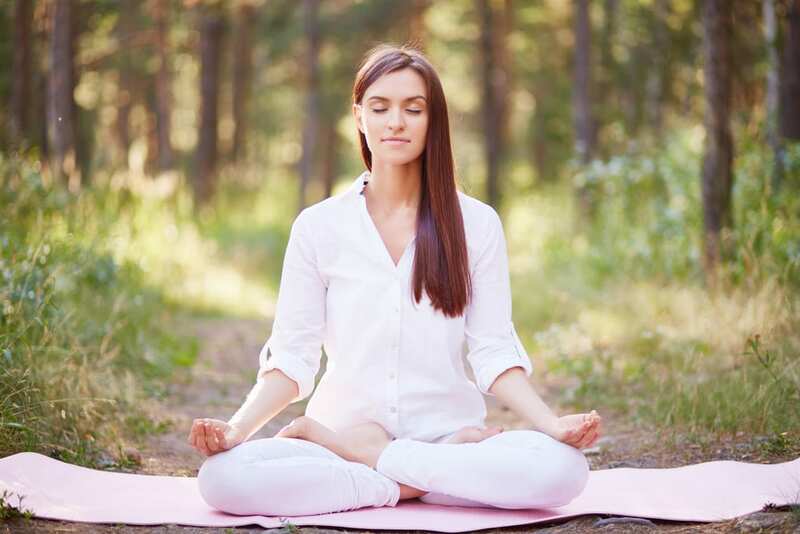 Spending few minutes to practice meditation can restore your calm and inner peace. The simple, inexpensive and effortless technique washes away all the stress, sharpens your mind and makes daily activities effective and enjoyable. Taking 15 minutes from your hectic schedule can help you lead a quality life. All the stress of piling work will leave you instantly and organizes your thoughts and emotions. 6. Take a hot shower. Nothing beats stress like a hot, steamy shower. Having a hot shower is a very effective way of clearing away all the troubles of the day. A simple act of taking 10 minutes to take a hot shower can help you feel bête. The warm soothing water can do wonders to relax your mind and body both. The sweet smelling shampoos and soaps can reduce stress levels effectively. Stand under the shower head and imagine water removing all your thoughts and unhappiness or just the thoughts of the day. At this point, don’t think about your problems, all you need to do is clear your mind and give a sense of stillness. Watch the water swirling down the drain together with your everyday thoughts. 7. Spend time with a dog. The best therapist has fur and four legs. Those who have pets know that it is virtually impossible to stay in a bad mood. Those puppy dog eyes instantly melt your heart whenever they meet yours. When you are deeply troubled, there are things you get from the silent devoted companionship of a dog that you can get from no other source. Petting, scratching, cuddling a dog could be as soothing to mind and heart as deep meditation. Dogs are a perfect antidote to a stressful day, their wet, sloppy kisses set everything straight. Playing with your pet can increase levels of stress-reducing hormones, oxytocin and decrease the production of stress hormones, cortisol. Dog is another word for unconditional love. 8. Read your favorite book. Losing yourself in a book is the ultimate relaxation. Reading your favorite book can keep you thoroughly engrossed and lets you escape from the worries and stressors of everyday world. 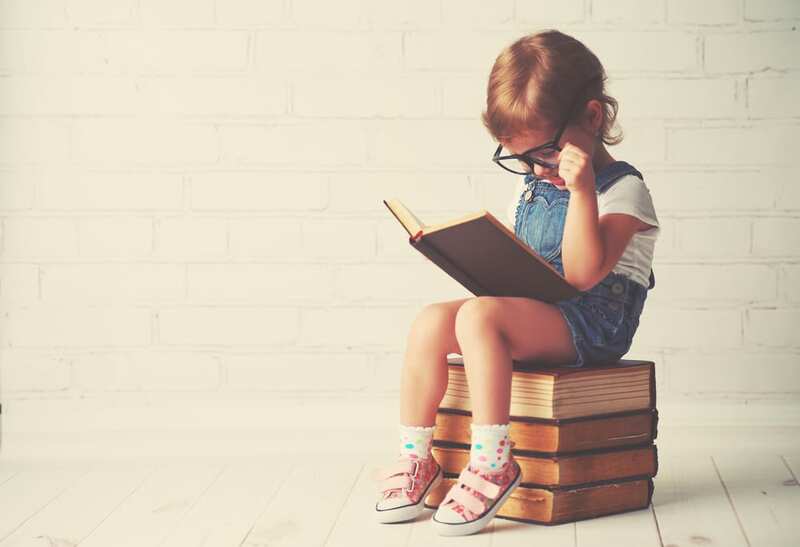 Reading distracts you from the reality and can be a wonderful source to relax by lowering your heart rate and easing the tension in your muscles. A study at the university of Sussex found that reading for 6 minutes can reduce stress by up to 68%. Take 30 minutes from your day to read in a quiet place where you won’t be interrupted because the moments spent reading are the ones stolen from paradise. A soothing massage can help you unwind. A massage is an effective treatment for reducing stress, pain and muscle tensions. There are many reasons why people love a good massage but stress relief is the most popular reason. Plenty of studies have confirmed that massage therapy is a great stress buster. Our nervous system responds to stress by producing large amounts of chemicals like cortisol and adrenaline. These chemicals lead to quicker heart rate, muscular tension, sweating and alertness. Headaches, jaw pain, shoulder and neck aches are common symptoms of stress. Massage provides immediate relief and relaxes your muscles and mind. 10. Cook a meal and enjoy the fruits of your labor. Slicing, dicing and chopping is the kind of rhythm that can calm your mind. Stressed mind asks for comfort food and if the food is self-made, you will find it physically and mentally rewarding. Throwing some ingredients together and taking in sizzling sounds and aroma can amazingly reduce stress. You become mesmerized by the scent of your culinary sensation. You can feel the sense of accomplishment at the end of a good meal which can further calm your senses. Whether you are cooking for family or for yourself, the process of cooking gives great joy and is a great way to end a day with relaxation. It diverts your mind from the hassle and traffic of the day and brings your attention to the preparation of the meal. 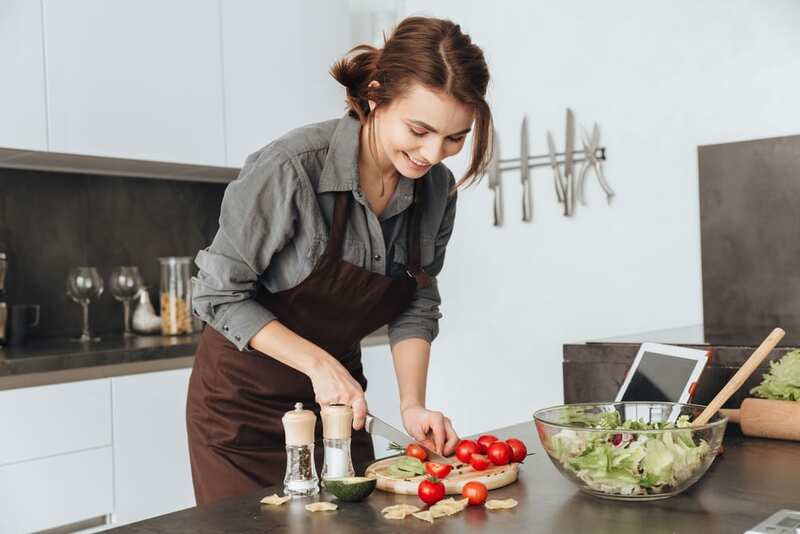 Cooking by yourself or cooking with someone offers a great quality time that you can spend in the kitchen and cook away the stress. What’s up, I wish for to subscribe for this web site to take most up-to-date updates, therefore where can i do it please help out.